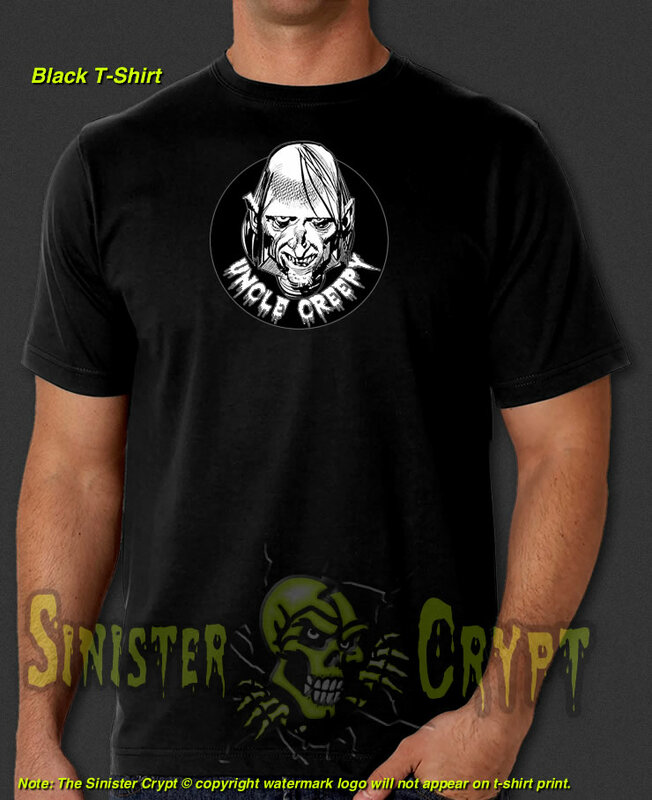 Uncle Creepy t-shirt. Uncle Creepy is the host of horror-comic magazine Creepy, which launched in 1964 and published more than 285 issues. 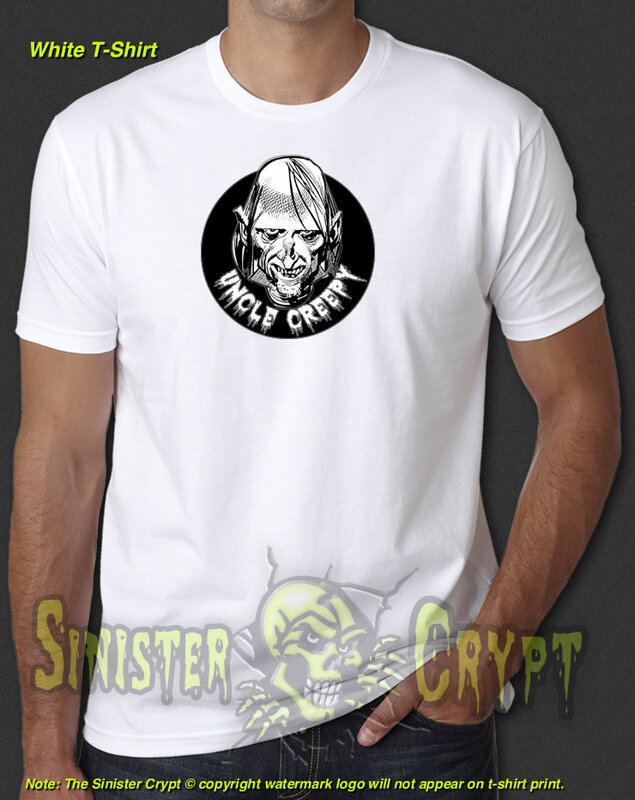 Makes a great gift for a classic horror fan!